In 1924, reports in foreign and Dutch newspapers appeared about ‘deadly rays’. These and other mysterious rays would have been observed especially in Germany. Ignition mechanisms were disrupted, planes crashed for inexplicable reasons and cars halted. [These messages were probably based on the hoax of the English researcher Harry Grindell Matthews]. As a result of these reports, questions were asked in a secret meeting of the Defence Commission of the House of Representatives to the Minister of War. The minister, dr. J.J.C. van Dijk, promised to conduct an investigation into the reports and asked advice to prof. dr. Hendrik Antoon Lorenz. As a result of the conversation with Lorenz, by order Secret Litt. R.108 dated November 25, 1924, the Minister of War establised the Commission for Physical Capabilities, with the task “to study the case of physical capabilities (…) to its full extent and to indicate globally the direction in which in the field of physics and related sciences must be searched for – solutions that are applicable for our purposes – for each part of that case, and to advise him, Minister of War, on matters pertaining to that question.” Prof. jhr.dr. Elias was invited to chair the Commission. Members of the Commission were experienced officers stemming from various parts of the Armed Forces, and representatives from various scientific disciplines. Soon thereafter, Prof. dr. Elias discovered that the rumours about the deadly rays could not be based on reality. The mandate of the Minister to the Commission went beyond the “deadly rays”; it was the assignment to apply physical principles in military equipment in order to improve their performance and to advise him on based on findings. The Commission felt it necessary to make housing available where research could be carried out under the guidance of the young scientist Ir. J.L. van Soest who was appointed on 25 February 1927. The search for a militarily suitable place for experiments was linked after a while to the decision to build a new building for the Military Weather Service on the Plain of Waalsdorp (in Dutch: Vlakte van Waalsdorp/Waalsdorpervlakte; (see inset: Geology and archeology of the Vlakte van Waalsdorp at the end of this web page)) near the current TNO building. On December 1, 1927, the Meetgebouw (“Measurements Building”) started its operations with Ir. van Soest and his assistant instrument maker P.D. Groot. This date has since been celebrated annually as the day of the foundation of the laboratory. In order not to create unnecessary suspicion in the pre-war years, the building was given the obfuscating name Meetgebouw instead of “laboratory”. The name Meetgebouw was in use until the German invasion in 1940. In the Meetgebouw three rooms were available with a total floor area of 130 m2. Van Soest began researching acoustic listening devices for aircraft detection and interception (see: Technical topic Air Acoustics) in use by the Royal Netherlands Army. He developed his own listening device because the industrial devices showed insoluble defects. The successful development of the “Van Soest” listening device ultimately led to production at the industry and commissioning by the Royal Netherlands Army. In 1937, the Minister of War decided that, because of its secret character, the work of the Commission for Physical Capabilities would not come to fall under the competence of the in 1932 established by law Organisation for Applied Scientific Research (TNO). Subsequent projects were the development of a meteorograph for the Military Weather Service, the development of infrared equipment for border security across a river, and led by jhr. ir. J.L.W.C. von Weiler, who joined the “Measurement Building” in 1934, the development of an advanced radio transmitter/receiver for the Artillery (see: Technical topic Radio communication), the acoustic listening device for aircraft observation, and in 1938 the development of the ‘electrical listening device‘ (‘radar’). The topics IFF (Identification Friend or Foe), detection of landmines and underwater acoustics were still in the experimental phase. The number of employees of the Meetgebouw grew in the pre-war years to 37 in 1940. The floor space increased to 788 m2 in 1940. During the invasion of the Germans in May 1940, two ‘electric listening devices’ were in operation, one of which was operated on the Malieveld in The Hague. On May 15, a wooden barrack on the Waalsdorpervlakte in which all secret equipment was collected was deliberately set on fire so that the equipment would not fall into German hands. Just before the capitulation of the Netherlands, Von Weiler and Staal escaped to England taking with them the documentation of the electrical listening device. In England, he worked with English scientists on the further development of radar until 1946. In 1941, the Meetgebouw with over twenty staff members was included in the PTT organisation as the Physics Laboratory. In 1943, the Meetgebouw employees moved house to the Central Workshop of the PTT on the Binckhorstlaan because the Waalsdorpervlakte became ‘Sperrgebiet’. During the war-period attempts were made to avoid work for the occupying forces, which partially succeeded (see personal story). Clandestine work was carried out on a broadcasting station that came into operation as Herrijzend Nederland 3 on wavelength 301.5 metres on May 18, 1945. The transmitter was operated b laboratory staff. Messages of powerful reception and quality came from all over the Netherlands. The station was also received in Hamburg, south of Paris and in southern England. After the Lopik transmitter came back into operation, the transmitter was changed and worked at 245 m as Hilversum – Herrijzend Nederland until September 4, 1945. The transmitter was then moved and operated as an auxiliary transmitter of the P.T.T. in Beek, Limburg. On December 15, 1945, the Physics Laboratory transferred back from the P.T.T. to the Ministry of War. In the course of 1946, the ‘normal work’ was picked up again. The Physics Laboratory remained housed at the P.T.T. until 1 December 1947. Amongst other research topics, the laboratory worked on infrared applications needed by the army in the East Indies. On July 12, 1947, the Rijks Verdedigings Organisatie (RVO) – ‘National Defence Organisation’- was established. The Physics Laboratory (PhL) was incorporated into the Netherlands organisation for applied scientific research TNO’s RVO. 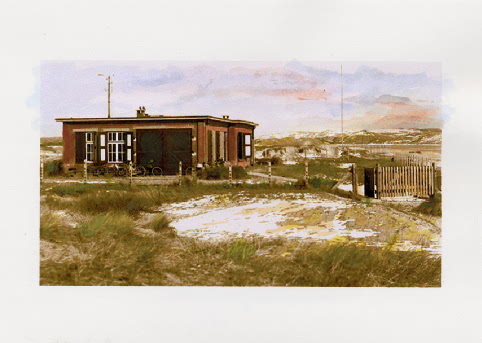 The laboratory returned to the Vlakte van Waalsdorp where the pre-war activities in areas such as radio, radar, and infrared technology were restarted. Internationally, the war had led to a wide range of (military) technological developments. In order to catch up on the lost years and to acquire an international position in the field of defence research, the PhL explored new areas of research such as passive and active sonar technology, phased array radar technologies, electronic calculation methods, and operational research. In the 1960s, the laboratory had a global leading role in the field of digital fire control and assisted the United States with this technology. Due to the strong growth in personnel, a stone building was added which was later expanded with more barracks. In 1969, a completely new building (viewed from above in the form of an eight) was build at the edge of the Waalsdorpervlakte including an atomic bomb shelter given the cold war era. After his return to the Netherlands in 1946, jhr. ir. J.L.W.C. von Weiler, who was incorporated into the Royal Netherlands Navy during his stay in England, continued his radar development and consultancy work as Head of the Development and Test Division of the Navy Radio Service, Oegstgeest, Netherlands. In 1950, this department consisted of 25 persons and became the Laboratory for Electronic Developments (LEO). LEO was aimed at filling the immediate needs of the Royal Netherlands Navy with operational equipment for radio communication and radar. In 1955, the LEO activities were extended with activities for both the Royal Netherlands Army and the Royal Netherlands Air Force. For that reason, the laboratory name was changed into the Laboratory for Electronic Developments for the Armed Forces (LEOK). 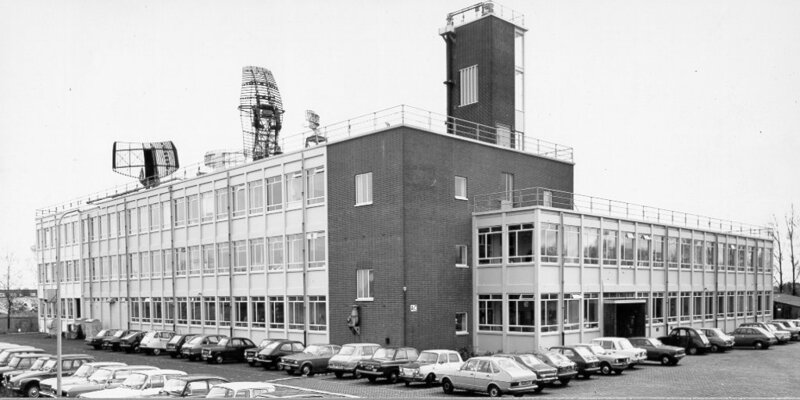 The LEO (and later LEOK) shared a building with the Navy Electronic Optical Works (MEOB) in Oegstgeest. In 1958, the LEOK moved into a new two-story building, which created space for research in the field of radar systems, training and simulation equipment. In 1977, the number of employees of the LEOK had grown to 150 under the management of director F. van Hutten. In the same year, the armed forces decided to abandon the military status of the LEOK by having the laboratory incorporated in the TNO organisation. The continuous discussion of overlapping work and the organisation of the future tasks of the laboratories resulted in the decision to integrate both laboratories at one location. 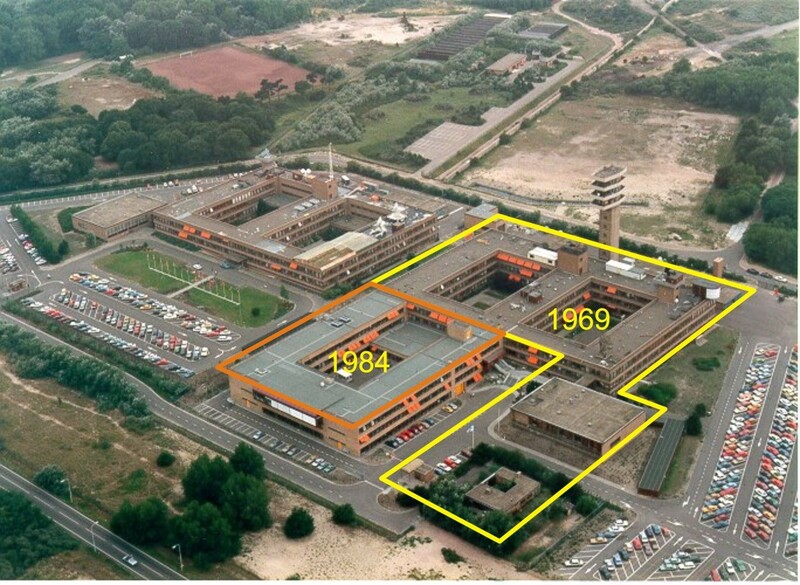 In parallel, TNO RVO became TNO Defence Research in 1980. Telecommunication and Security (mid 2003, a large part of the non-military activities in this area moved to TNO Telecom). TNO The Hague Waalsdorp is built on the plain known as the “Vlakte van Waalsdorp”. On the basis of the results of excavations and discoveries by both professional archaeologists, and by the activities and discoveries of amateur archaeologists (mostly employees of the earlier Physics Laboratory and the Measurement Building) insight has been gained into the history of the plain. The archaeological activities are recorded in reports and journal articles. The first director of the then “Measurement Building” Ir. JL van Soest, as an amateur, archaeologically mapped the plain before 1940 by noting the number of steps. From these activities, insight has been gained that the plain underwent different phases over the centuries, both in the nature of the landscape and in its use. The area was about 1500 years before our era part of an expansive beach area on which dunes were formed in successive sand-drift periods. As a result, both the “old dunes” (before our era) and “young dunes” (in the Middle Ages) have been established. Dune valleys with peat growth arose between these dune rows, on which forest developed later. Due to large-scale logging in the Middle Ages and by sand-drifts, the rather bare Plain of Waalsdorp arose. The original (very old) layers came to the surface, a so-called ‘geological window’. In the late Bronze Age (period -1100 to -700) and the late Iron Age (period -400 to 0), the valley was visited by groups of hunters who, on the northern edge, established (semi) permanent residences. In Roman times (-50 to 400) and later in the Middle Ages (1000 – 1500) attempts were made to establish more permanent residences on the plain and even to develop agricultural activities. This agricultural utilisation was certainly suddenly interrupted twice by rapid sand-drifts with dune sand (beginning 13th and 14th/15th century). After this period, the existing dune landscape has formed. Utensils have been found stemming from the period from the beginning of our era to the present, such as Roman mantles, buttons, coins, heads of tobacco-pipes, and the like that are currently present in the museum. From the second half of the 18th century (and possibly even earlier) the Plain of Waalsdorp served as a military training ground. The military history can be recognised from the many discoveries of ammunition rests, parts of weapons and equipment. Most of the settlement activities are found in pot shards. In addition, remains have been found of fireplaces of habitation or temporary stay, and spit tracks of agricultural activity. In fact, the floor of the TNO location in The Hague Waalsdorp lies in the middle of a medieval farmland.